Employee services business Personal Group and online doctor service videoDoc have published the findings of a survey of 2,496 UK employees on their attitudes and behaviours around work presenteeism and illness in the workplace. 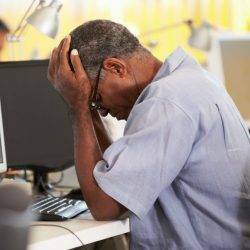 The results indicated some worrying trends with regards to the prioritisation of work over health, with the average British worker having worked more than four days whilst genuinely ill in the last year, and over half of UK employees (52 percent) admitting to delaying seeking medical advice because they didn’t want to take time off work. Of those who did take time off work to see a doctor in the last 12 months, 15.7 percent took unpaid leave to do so, 17.5 percent used their annual leave entitlement and 22.4 percent left work early or arrived late – each of which arguably negatively affect both employee wellbeing and organisational productivity. Ironically, the survey revealed that HR workers are the most likely professional group to turn up to work while ill when they should really be at home – 83 percent of them reported doing so in the past year. The average HR worker spent 5.2 days ill at work when they should have remained at home; more than any other professional group or regional workforce. 71 percent of HR professionals have delayed seeking medical advice because they didn’t want to take time off work for a GP appointment and over two thirds (70.9 percent) of HR employees feel uncomfortable taking time off work when ill. As well as being well above the UK employee average of 64 percent, this is an indictment of health and wellbeing policies in British workplaces and illustrates now much more work there is to be done moving from having a wellbeing policy to having a wellbeing culture.